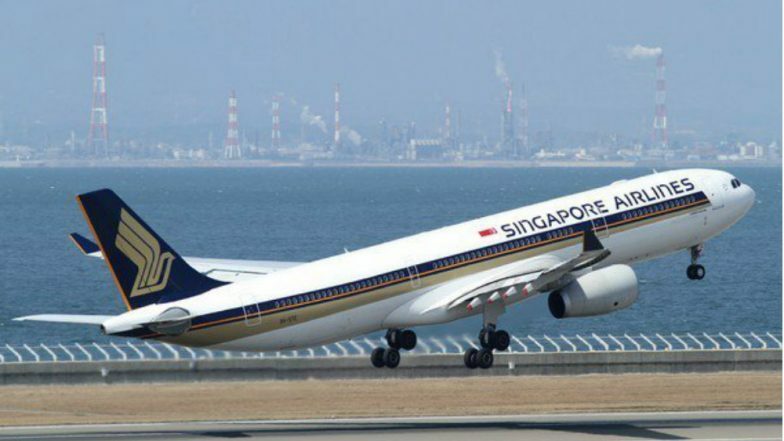 Singapore, March 26: A Singapore Airlines flight carrying 263 passengers landed safely at the Changi International Airport here on Tuesday, after the pilot had raised a bomb threat alert, which later turned out to be a hoax. SQ Flight 423 had taken off at around 11:35 pm (local time) on Monday from Mumbai. Shortly after it took off, the airline received a call claiming that there was a bomb on the plane, The Straits Times reported. The flight was safely escorted back to Changi Airport by Singapore's air force and made an emergency landing at about 8 am (local time). All the passengers were disembarked safely and had to undergo a security check before they could leave. Mumbai Woman Makes Bomb Hoax Call to Take Revenge From Waiter Who Interfered in Her Fight, Held. However, authorities have detained a woman and a child and are being questioned by the police. "Singapore Airlines confirms there was a bomb threat concerning SQ423 operating from Mumbai to Singapore. The aircraft arrived in Singapore on 26 March 2019 at about 0800hrs (local time). There were 263 passengers on board. We are assisting the authorities with their investigations and regret that we are unable to provide further details," said a spokesperson for the airline. Further details in the matter are awaited.